In January 2018, ‘Friends’ was released on Netflix, much to the joy of those who fondly remember arguably the funniest sitcom of all time. However, for the new millennial Netflix generation that’s been loaded up on liberal indoctrination and political correctness, the wholesomeness of ‘Friends’ was apparently too much for some of them to handle. They’re just so sensitive, you know? Yes, millennial snowflakes have labelled ‘Friends’ as misogynistic, homophobic, transphobic, sexist, un-LGBT friendly and ethnically racist. They were also upset about “body shaming” due to Monica Gellar’s appearance in High School in all those funny flashbacks. We kid you not! However, this shouldn’t come as any surprise since they grew up with the socialist constructs of political correctness, Buzzfeed and to that of widespread opposition to views that don’t align with their own. Ladies and gentlemen, we bring you the millennial snowflake that’s so easily triggered, and by ‘Friends’ no less… A much loved show that unfortunately ended in the year of 2004. Perhaps it was the symbolism of the misogyny via the evil patriarchy that’s so prevalent in ‘Friends’, right? How dare they not profess the lies of modern day Feminism?! ‘Friends’ has gone and triggered all the millennial feminists and snowflakes in a little over two weeks, which is pretty good (YAY! ), since maybe they will evolve from their safe spaces and learn to take a joke? At least that’s what one would hope. Let’s now show off some of the “Triggered” tweets that millennial’s have been sharing after their initial reactions to ‘Friends’. Brace yourselves for Millennial screeching sounds! He must’ve read his fair share of Buzzfeed with his Soy Milk Latte’s every morning over the years, right? Yet another troubled millennial snowflake finding the comedy of ‘Friends’ too hard to overcome. Perhaps Rachel’s just another deluded feminist, unlike everyone’s favourite “hottie” friend Rachel Green. Yes, the effeminate notion of the “male nanny” played by Freddie Prinze Junior, was just too much for this millennial, which shows that we should definitely embrace the “male nanny” job role in 2018. Just think of them as your typically normal heterosexual “male nanny”. What’s wrong with that? Nothing! 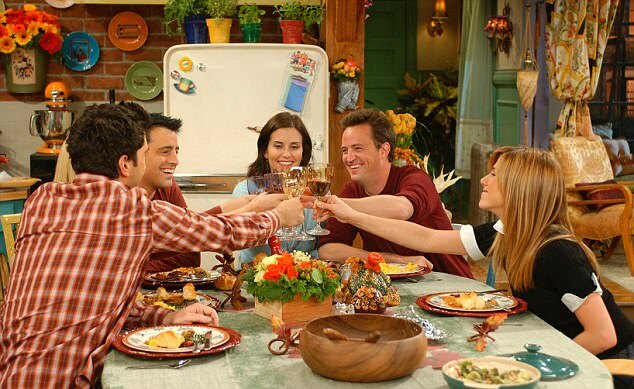 ‘Friends’ just made it funny before it was a more mainstream thing. It wasn’t funny to this deluded liberal twenty something year old, who thinks that Twitter loves Nazis, even though Twitter has been shown to even be censoring conservative logic via Project Veritas. In the deluded world of millennials that watch CNN and read up on all their information on Buzzfeed, it’s totally normal to buy into the racist lies of division all day, believing that anything but socialism is racist. Who knows? Well, clearly this person didn’t find “Fat Monica” humorous at all. Maybe she should just watch the whole series before passing judgement, eh? Another one who didn’t find the mocking of “Fat Monica” funny either? Perhaps they are just offended… Or haven’t lived long enough to appreciate their high school selves yet? Oh dear. In the generation of Instagram models and sugar daddies being very prevalent online, even poor Richard was deemed unfit for Monica Gellar, despite him being an all around good guy and a doctor, as well. Clearly, you can’t please them all. From Kathleen Turner playing Chandler’s trans father way before Caitlyn Jenner, to millennials believing that Rachel Green would be fired for sexual harassment for hitting on a male employee, to that of the millennial notion of Ross Gellar being a sexist and Chandler being homophobic, we wonder what they would deem Joey as? Would he be a Harvey Weinstein incarnate? To show how the new generation is bereft of any humor, irony or taste in comedy these days, their lack of understanding for the most popular television sitcom of all time should be all the proof that you’ll ever need! Most recently, these millennials have devoted their time to try to dissect inconsistent plot lines in many ‘Friends’ episodes. Zzzzzzzzz! Who the hell cares about that? Not us, that’s for damn sure. Buy the whole series on Collectors DVD right here!